Communicative. Samsung introduces a new series of business laptops: the Series 4. The 400B5B is part of the new line-up and offers an anti-glare, high-resolution 15.6 inch display, two USB 3.0 interfaces, and an integrated 3G module. The Korean manufacturer offers the model for 950 Euros. "Series 4" is Samsung's new line-up of business laptops. The models of this series range in size: 12.5 inches (410B2B), 14 inches (410B4B), and 15.6 inches (410B5B). We tested both versions of the 410B5B laptop: S01 and H01. In this review, the test model is the 410B5B H01. 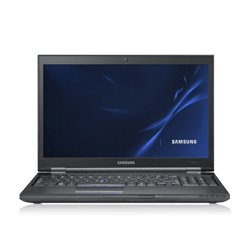 The new business laptop from Samsung is equipped with an Intel Core i5-2410M (2x2.30GHz) processor. The South-Korean manufacturer has also installed the NVIDIA Quadro NVS 4200M dedicated graphic card with 1024 MB VRAM. The notebook uses Nvidia's Optimus technology to automatically switch between the integrated graphics chip and the dedicated graphic card. This saves power and increases the battery life. 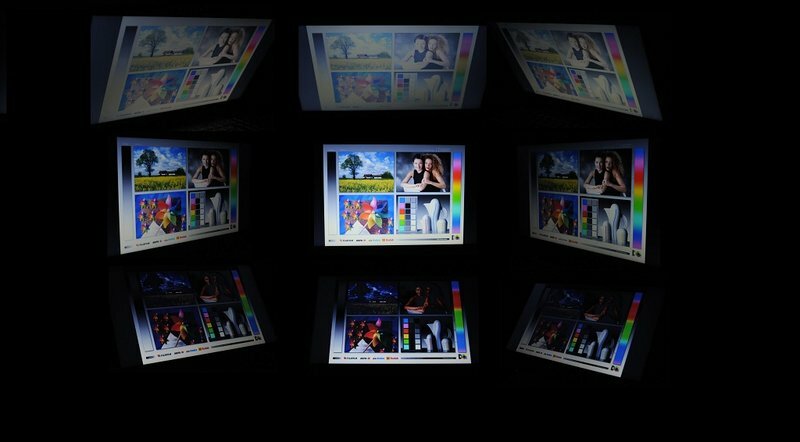 The display is anti-glare and can achieve a resolution of up to 1600x900 pixels (WXGA++). The laptop also has 4 GB RAM, two USB 3.0 ports, and an integrated 3G module for mobile internet. Samsung's 410B5B-H01 is available for 950 Euros. To find out more about the laptop and whether or not it is worth the investment, read on. The display hinges are the biggest weakness of the case. The design of Samsung's Series 4 models is very plain. This will definitely catch the eye of buyers looking for a notebook with a simple, conservative design. The black, matt surfaces do not allow fingerprints to form, and the hand-rest regions prevent slipping. Samsung advertises the Series 4 models with the motto: "Amazing Sturdiness and Longevity". However, we disagree with the statement as the Duracase case of the Samsung laptop has a few weak spots. 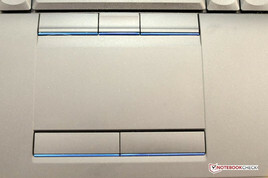 The chassis can be pushed inwards at certain points, especially on the bottom in the region of the DVD drive. On the other hand, the hand-rest regions and the keyboard base are quite resistant. The material used here only gives way under immense force. The display hinges are the biggest weakness of the case. These do not hold the display securely enough. In fact, if the screen is tilted to the front and the laptop is shaken, the display closes and the laptop automatically switches off. On the plus side, the metallic hinges allow a wide opening angle. The display (which has an integrated webcam) can also be bent easily. The display cover does not provide sufficient resistance either, and gives way under pressure. Thankfully, the display borders have rubber implants which protects the panel when the laptop is closed. The connectivity of the Samsung 400B5B leaves no room for improvement. Two USB 3.0 ports can be found on the model. This is quite nice as most notebooks only have one USB 3.0 interface. The notebooks of Series 4 are also equipped with an ExpressCard34 slot, HDMI interface, and an eSata port. 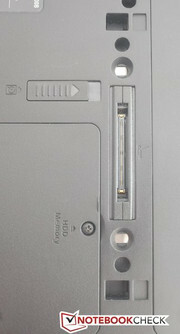 The bottom of the laptop sports a docking port interface. The Samsung Smart Dock is available optionally for 260 Euros. This adds the following ports to the laptop: DisplayPort, DVI and serial interfaces (Com-Port, RS232, 9 pin). The Samsung 400B5B scores again thanks to its many communication modules. WLAN 802.11n (provided by Broadcom) as well as Gigabit-LAN belong to the basic configuration of every laptop. The latest Bluetooth (Version 3.0) can also be found in Samsung's Series 4 models. The most interesting communication module is the integrated 3G module. This allows the user to access internet on-the-go by inserting a SIM card into the slot below the battery. Security is very important for a business notebook. Samsung has equipped the hard disk of the model with a fall sensor which protects the data in case the laptop falls. The keyboard is waterproof and to prevent unauthorized access, the laptop has a Fingerprint reader, which is placed below the numeric pad. The notebook also has Trusted Platform Module (TPM) and a Kensington Lock, which can provide extra security, if used. The delivery package contains very little besides the laptop, battery and power adapter. A Recovery CD for Windows 7 Professional (64 bit) is included. This is a nice surprise as most manufacturers have stopped shipping their notebooks with such discs. The manual for the laptop is also included. Samsung offers a standard warranty period of 24 months for its Series 4 models (incl. On-site Pickup service). In addition, Samsung also offers warranty extensions. These vary in performance and time period (12–36 months) and are available starting at 70 Euros. The keyboard of the 15.6 inch laptop has a complete numeric pad. The keys have a big stroke distance and a conical curve. The pressure point is strong and gives very good feedback. The cursor keys push out of the rest of the keyboard a little. All-in-all, typing on the Samsung 400B5B is a pleasure. Typing for longer periods of time will not be a problem on this laptop. Samsung offers a touchpad (Synaptics V7.5) and a Trackpoint for users who want to work without an external mouse. Both devices can be deactivated with ease. The sensitive surface of the touchpad of the Samsung 400B5B is well-sized and supports multiple-finger gestures. 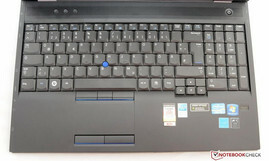 The keys of the touchpad have a short stroke distance and are almost noiseless. The same goes for the keys of the Trackpoint. The Trackpoint itself is seated between the keys G, H, and B. Sadly, the device sits a little too deep to allow easy and precise use. Samsung has equipped its Series 4 notebook with a 15.6 inch display which can manage a quite rare and high resolution of 1600x900 pixels (WXGA++). The high resolution means that working on the Samsung 400B5B is easier due to a better overview of running programs and files. Usually displays of this size sport a standard resolution of 1366x768 pixels. The panel has a 16:9 format and is anti-glare, which means that no reflections are visible on the screen. The display border also has an integrated 1.3 MP (SVGA) webcam. We measured the panel with the Gossen Mavo Monitor tool and the results are overall positive. At maximum brightness, the display can manage 239.1 cd/m² (average) and at one point we even measured 255 cd/m². The brightness falls when the laptop runs on its battery, but even without a power adapter we managed a respectable 210 cd/m². For indoors use, these brightness levels are more than sufficient. However, for outdoors use we would have liked to see slightly higher values. Still the reader must take into account that most laptops perform far worse in the brightness category. We measured a black value of 2.29 cd/m² at maximum brightness. This results in a very weak contrast of 110:1. The viewing angle stability is poor vertically, as is usually the case in notebook displays. Horizontally, the picture inversion remains in bounds. The following gallery will show the viewing angle stability. The Samsung 400B5B is equipped with a middle-class dual-core processor: the Intel Core i5 2410M. Both cores run at a basic clock frequency of 2.3 GHz and thanks to Hyperthreading the CPU can process up to 4 threads simultaneously. 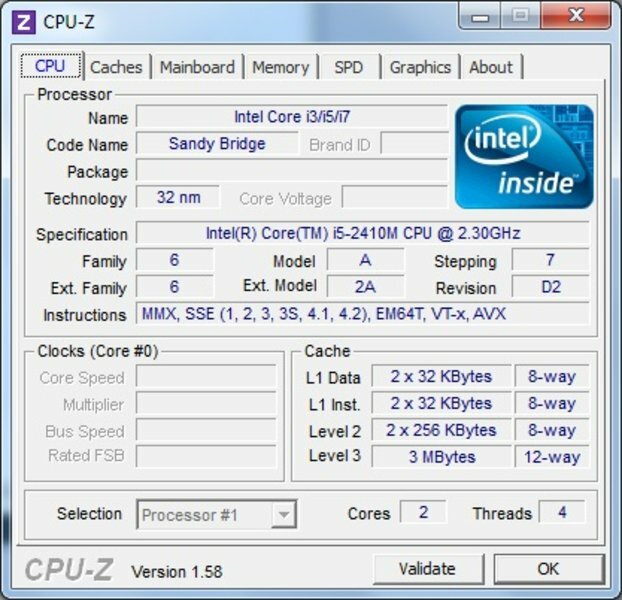 The CPU is built with the Sandy Bridge architecture and can be boosted up to 2.9 GHz using Turbo Boost. The Intel Core i5 2410M has an integrated Intel HD Graphics 3000 graphic chip. The DirectX 10-ready graphics chip can accomplish simple graphic tasks without a problem. 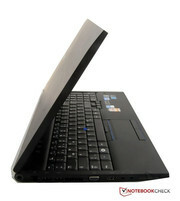 The NVIDIA NVS 4200M is the dedicated graphic card of the laptop which can be used for more strenuous graphic tasks. This business graphics card is based on the same core as the GeForce GT 520M. However, unlike the GT 520M, this graphic card was designed for business applications and is not optimized for gaming. 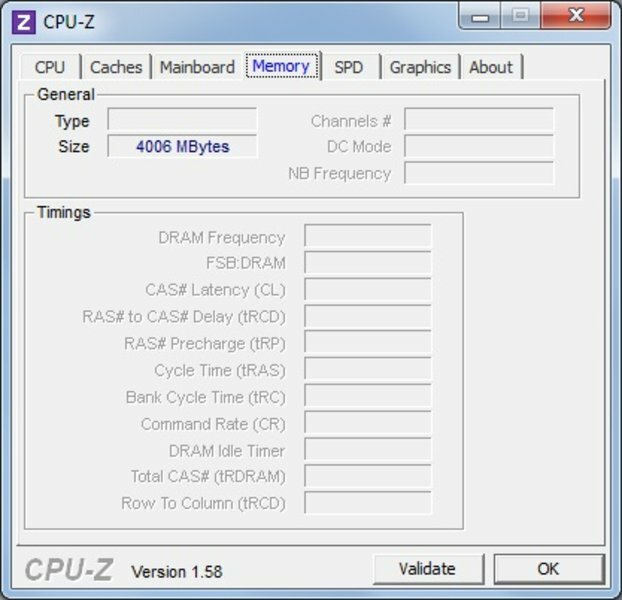 The NVIDIA NVS 4200M has a total of 1 GB DDR3 video memory. Nvidia Optimus automatically switches between Intel HD Graphics 3000 and NVIDIA NVS 4200M depending on the program being run. This technology helps keep the power consumption of the Samsung 400B5B low and thus increase the battery life. 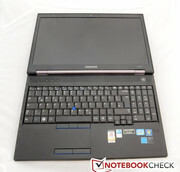 The 15.6 inch laptop also has 4,096 MB PC3-10600 (1333 MHz) DDR3 RAM. The integrated hard disk (manufactured by Samsung) has a capacity of 500 GB and operates at 5,400 rpm. The installed DVD drive is a DVD burner. We tested the performance capability of the Intel Core i5 2410M in the Cinebench R10 as well as R11.5 benchmark. 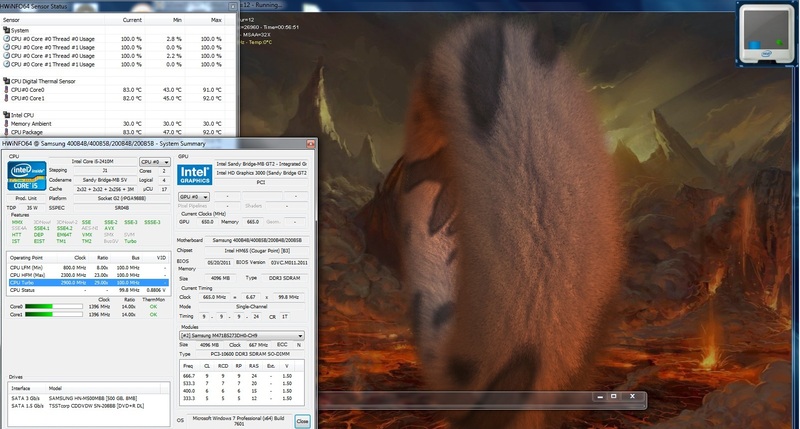 The CPU can deliver 4,545 points in the Single-Core test of Cinebench R10 64 bit. This places the system in the middle-class. Notebooks with the same processor are likewise middle-class. However, in the dual-core test of Cinebench R10, our test model fell behind the other models with the same CPU. The processor of our test model could score a mere 8724 points, whereas the Acer Aspire 5750G scored 9840 points with the same processor. In the Cinebench R11.5 benchmark the Samsung laptop shared first place with other notebooks equipped with the Intel Core i5 2410M. We checked the system performance with PC Mark Vantage and PC Mark 7. For these benchmarks, all the hardware components of the notebooks were tested. In the PC Mark Vantage benchmark, the Samsungs 400B5B scored a total of 6178 points. Lenovos Thinkpad T520 reached 6644 points with the same CPU and GPU. In the PC Mark 7 benchmark, the system scored 1723 points, placing the Samsung Series 4 notebook among the last one-third notebooks of our PC Mark 7 data bank. We tested the graphic and 3D performance of the Samsung test model with the 3D Mark benchmarks from Futuremark. The results all lay in the expected region. The NVIDIA NVS 4200M scored 4951 points in 3D Mark 06. We also tested the gaming performance of the laptop, but more on that later. Samsung uses a 500 GB hard disk of its own making for the laptop. The hard disk runs at a slow 5400 rpm (rotations per minute). This results in an average data transfer rate of 82.1 MB/s in HDTune 2.55. 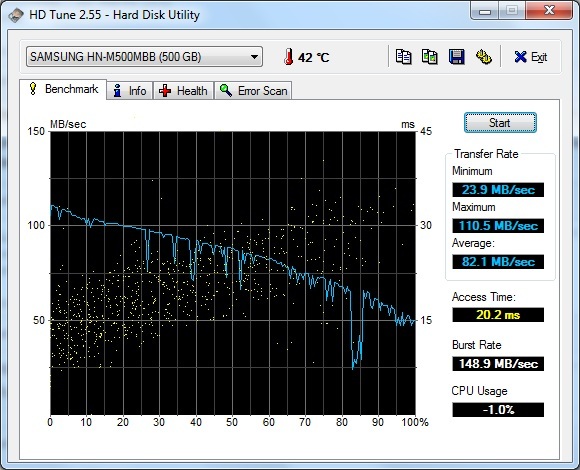 The notebook could perform faster with an SSD. Sadly, Samsung does not offer any configuration for our test model with an integrated SSD. The NVIDIA NVS 4200M is not optimized for gaming, and during its development the manufacturer focused on making the dedicated graphic card reliable and creating drivers for business applications. This means that CUDA, OpenCL and Direct Compute are supported. We tested the gaming performance of our test model with two of the latest games: Mafia 2 und Dirt 3. Dirt 3 runs fluidly at a resolution of 800x600 pixels and low details. Even at medium details and a resolution of 1024x800 pixels, the Ralley game runs at a good playable 36 fps (Frames Per Second). The frames should stay above 30 fps for the game to remain enjoyable. High details and resolutions are not possible for Dirt 3 on this test model. We saw similar results in Mafia 2. The shooter runs at medium details and a resolution of 1024x800 pixels fluidly. This is also the limit, as higher details or resolutions force the game to a crawl. In conclusion: the laptop can run the latest games with low to medium details and a decent resolution. However, that is also the extent of the power of the NVIDIA NVS 4200M, as it was designed for business purposes and not for gaming. Samsung notebooks are well-known for their "Silent Mode". Yet, even without this feature, the laptop runs quietly during office use. While idle, we measured a maximum of 34.4 dB(A). The system became louder when we played a DVD as the optical drive contributed to the noise emissions. However, the values stayed in acceptable regions and the film experience was not ruined by the noise emissions. The noise emissions of the Samsung 400B5B became distracting when the system was under full load (using Furmark and Prime95 benchmarks): the noise emissions rose to 44.2 dB(A). The laptop did not perform very well during our stress test with prime95 and Furmark. In office use, the Samsung Series 4 notebook remains cool. The surface stays below 30 degrees. In the stress test, we used prime95 and Furmark to push the system to its limits. This resulted in the temperatures rising all over. The hand-rest region and the keyboard base remained at an acceptable 34.5 degrees. However, th bottom of the notebook heated up to 47.6 degrees at certain spots. In the stress test, we paid particular attention to the performance, as many notebooks have had a problem with performing well while under full load. This is due to the problem known as "Throttling". Sadly, the Samsung 400B5B is one of those laptops. In our stress test, the CPU speed frequently fell down to 1396 MHz for short periods of time. We ran the Cinebench R10 (64 bit) benchmark next and the results are lower than the values we found while the laptop was "cold". 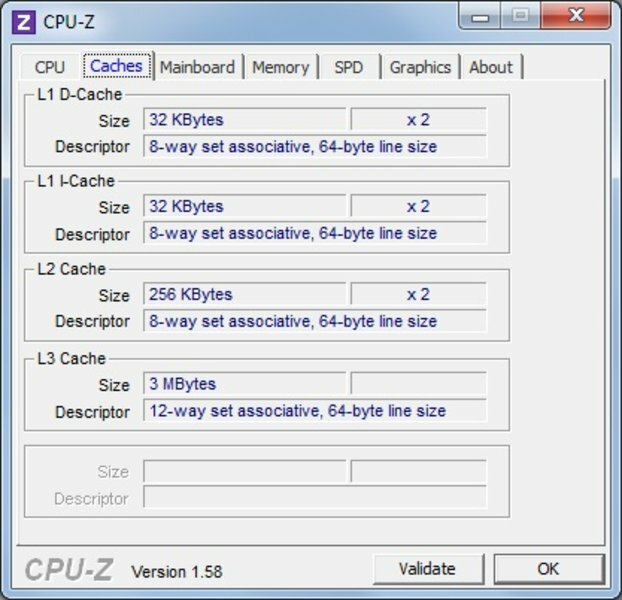 In Single-Rendering the processor could only manage 3304 points and in Multi-Rendering, the system scored a mere 7497 points. So in essence, if the user runs the laptop at its absolute performance peak for multiple hours, then s/he should expect performance drops. However, most standard office users will never experience this problem. One should not have high expectations of the speakers of a business notebook. The two small boxes with each 1.5 watts lack bass. On the other hand, the middles and highs are balanced and the maximum volume is also high. The speakers are more than sufficient for everyday office use. The user can plug in external speakers using the 3.5-mm jack. A microphone jack is also available. In office use, the laptop requires between 10 to 22 watts, depending on the energy profile in use. When the laptop is under heavy load, the situation rapidly gets worse. When we ran prime95 and pushed the CPU to its limit, the Samsung 400B5B's power consumption rose to 59 W. In addition, when we ran Furmark simultaneously, the power consumption rose further to 75 W. Surprisingly low power consumption can be seen in standby-mode (0.2 watts). Samsung's 400B5B is equipped with a 6-cell Lithium-Ion battery which has a capacity of 48 Wh. With minimum performance settings, deactivated WLAN and Bluetooth, the Battery Eater Readers test showed that the laptop could run a maximum of 6 hours and 35 minutes. A more realistic scenario would be the surf test with medium brightness, activated WLAN and energy-saving features activated. As long as the user just surfs on a few sites on the internet, a battery life of 4 hours and 55 minutes should be possible. The runtime dropped to 4 hours and 29 minutes while running a DVD with maximum brightness. Finally, we set the laptop to high performance settings, switched on the WLAN and increased the brightness to maximum. Using the Battery Eater Classic test, we measured a minimum runtime of 1 hour and 19 minutes. 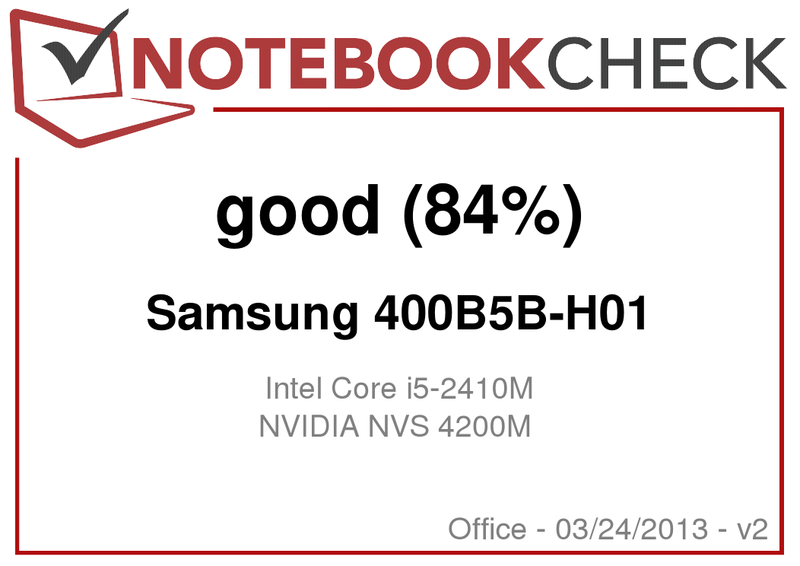 Samsung's 400B5B-H01 business notebook from the new Series 4 is a decent laptop. Although the laptop has some great features, there are a few areas where it could be better. The 15.6 inch display is anti-glare and very bright. This means that it is well-suited for outdoors use. The keyboard and touchpad are also very good. The device lacks nothing in connectivity: two USB 3.0 port are available, and an eSata and ExpressCard34 slot can also be found on the laptop. The security features are also quite extensive: a fall sensor for the hard disk, a fingerprint reader, and the integrated TPM chip. Even a 3G module has been built in which allows users to use Internet on-the-move. Sadly, the Samsung 400B5B-H01 has quite a few weakness as well. 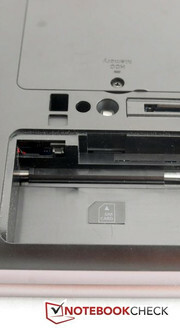 The display hinges are poor and do not hold the display securely. Under full load, the laptop becomes quite loud and starts to throttle. The display has weak contrast and meager viewing angle stability. The latest games can only be run with medium details and resolution on the NVIDIA NVS 4200M, which should not affect most office users. So buyers looking for a laptop with good input devices, an anti-glare, bright display for outdoor use and a 3G module will find the Samsung 400B5B-H01 a good deal at 950 Euros. The 15.6 inch screen can display content at a resolution of 1600x900 pixels (WXGA++). The battery hides a SIM card slot for the 3G module. A docking station is optionally available for the Samsung 400B5B. Nvidia Optimus delivers longer battery life. The speakers are sufficient for an office notebook. 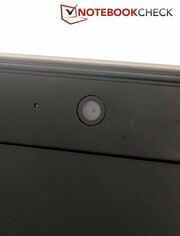 A 1.3 MP (SVGA) webcam can be found integrated in the display border. 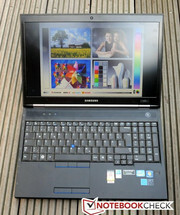 The Samsung notebook is well-suited for outdoors use as it has an anti-glare display and high brightness. The opening angle of the display is more than 180 degrees. The bottom of the notebook has a few weak spots which can be pushed inwards easily. The Samsung 400B5B has extensive connectivity. The business Series 4 models range in size from 12 to 15 inches. The extensive connectivity (for example, two USB-3.0 ports) as well as good communication modules (3G module) make the Samsung 400B5B an interesting laptop. Display hinges which fulfill their function. This reduces the overall image of the laptop. The Trackpoint seems to find a home in more and more notebooks nowadays.